Valentine’s Day is a time to reflect on our relationships and our personal emotional engagement. 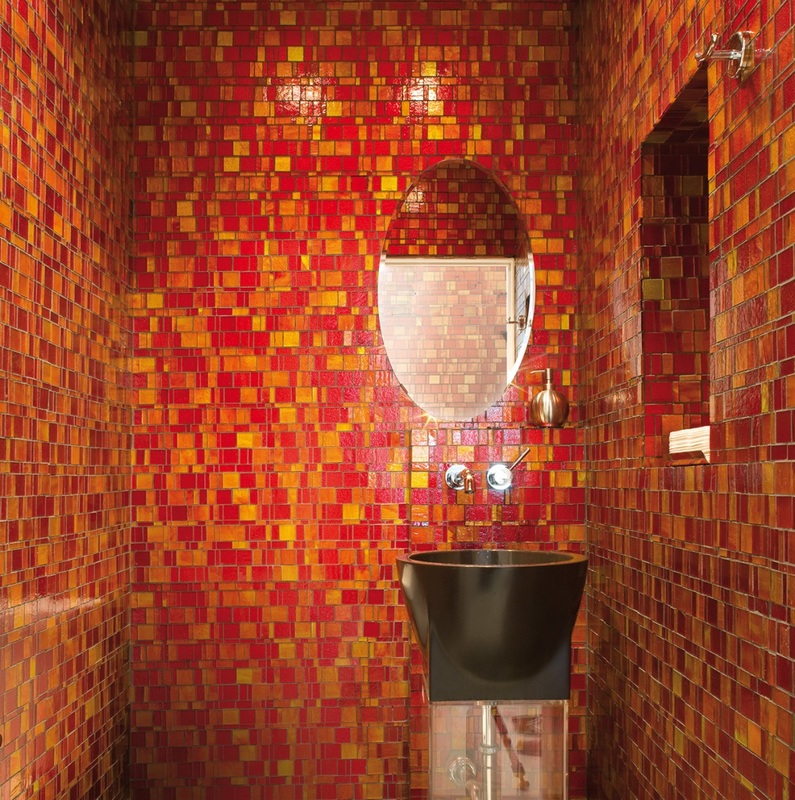 Although we cannot control the feelings of others, Granite Transformations can enhance the feelings of passion in your home by incorporating expressive design elements such as the color red in exclusive recycled glass and mosaic tile surfaces. 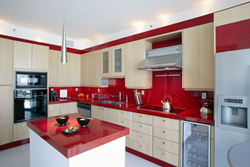 In the kitchen, adding a dash of red creates a contemporary appeal. The high-gloss, red backsplash & countertop from Granite Transformations form a strident contrast against chrome touches. Red is a powerful color, in both its appearance and emotional significance. Color psychologists believe the color accelerates the human heartbeat and raises blood pressure. Using design elements inspired by the heart can nurture your most important relationships by inviting positive attitudes and interactions in your home. Although the color will likely surprise your houseguests and become a topic of discussion, Granite Transformations can balance the color’s intensity by blending other modern and traditional countertops, backsplashes or cabinet styles. Granite Transformations offers an extensive line of elegant home design products that blend old-world charm with new-world polish. To determine the right services and products for your heart-inspired transformation, the home remodeling company offers free in-home design consultations. For more information on Granite Transformations, visit http://www.granitetransformations.com. Granite Transformations, a global full-service home and business remodeling resource, offers an impressive selection of stylish and affordable alternatives to traditional countertops, backsplashes, cabinets, floors and more. Best known for its revolutionary resurfacing process ideal for kitchens and bathrooms, Granite Transformations is meeting the needs of clients with franchise locations throughout North America, Australia, New Zealand and the United Kingdom. For more information, visit http://www.granitetransformations.com/.